How to analyze your website through SWOT Analysis? Conversion-oriented design along with website copywriting helps converting your potential leads to consumers and enhances CTR (Click-Through Rate). Your main aim, with this design approach, should be to reduce the leaks from your landing page as much as possible. Now, let’s walk through the seven principles of this design and get to know it in detail. You need to make sure when a user lands on your page, he should have a clear understanding as to what is to be selected next. You need to design in a way that will ease its decision process. Keeping in mind the following behaviors, while providing choices, is recommended. If the customer is offered with a lot of choices, he is more likely to get confused and end up not making any decision. In a recent experiment, two groups were formed. First group was offered with six choices of the same product while the second one was provided with 24 choices. Results showed that the 30% users purchased from the first group while only 3% from the second one. The choices should be different enough so that the user may quickly choose the one he wants. The choices should be related in some way or the other. For instance, choice between a free trial and a paid package. It is recommended to create different landing pages for leads coming from different marketing channels. A landing page is very crucial to converting this potential visitor into a consumer. It creates immediacy and helps the customer relate to a place on which he has landed with where he has come from. Take an example of two customers coming from two different channels; say one from Facebook and one from Gmail. Though both of them have the same goal but have reached you through different mediums. A same landing page will not be enough to address them personally and a personal touch is very important to encouraging your customer to buy. 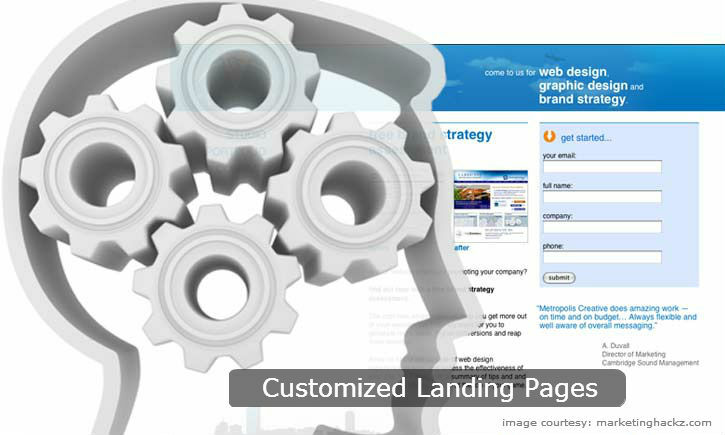 The landing page should offer the user with a logical sequence of steps that they can follow to become your consumer. For example, provide them with a step-by-step story of why they should make a purchase. Once you’ve convinced them enough, tell them how to sign up. If you will ask them to sign up immediately without giving any details, they’ll either look for benefits themselves or curse you for not being efficient enough or they may even decide to stop going through the process. Our decisions are usually based upon two things viz. logic and intuition. To easily convince a customer to convert, you need to make sure that your website’s design is not just logical but appeal to their emotions too. Logically, it should be properly sequenced and should provide enough evidence for decision making. Emotionally, the webpage should be designed in a way to target your audience’s personal profile and enable them to connect with the brand. You should be very careful while positioning your calls-to-action. Placing it above the fold will be too early to ask user to make a decision, while placing it at the end of the page will be too late. He might have lost his interest. To be specific, the call-to-action should be placed directly on top after the fold. Most of the websites have a form on the landing page that is required to be filled by the users. Your job is to provide enough motivation for users to fill out that form. One of the ways is to display bulleted points informing the user what he will get out of it. Experiments have showed that people are likely to follow trends and imitate the actions of others surrounding them. This is a bandwagon effect and you can use it to your advantage while designing a webpage. Showing people who else has signed up/ purchased/ subscribed is quite helpful in this regard. In fact, if you link it to a social network and display them a list of their friends who have done the same thing; the customer response boost up tremendously. 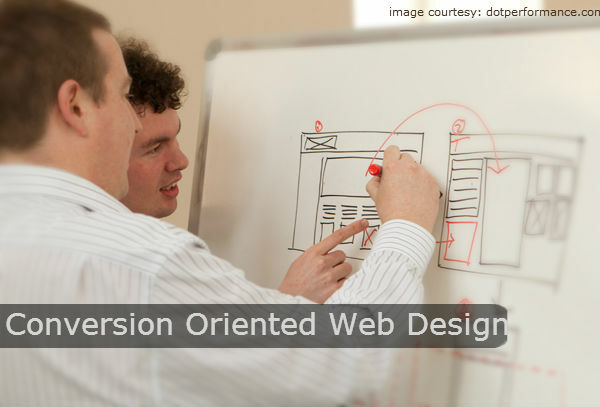 Conversion-oriented design can be implemented in a variety of ways but your main goal should be to help the user make a timely judgement.